A hybrid-learning experience enabling learners to earn a Certificate in Corporate Citizenship Practice in half the time, at half the cost. Earn your Certificate in Corporate Citizenship Practice this January in San Diego. CHESTNUT HILL, Mass., Sep. 05 /CSRwire/ - Boston College Center for Corporate Citizenship is pleased to announce that registration is open for the Accelerated Certificate Summit, a flexible hybrid learning experience that offers in-person and online learning to accelerate the process of earning a Certificate in Corporate Citizenship Practice. The curriculum teaches CSR best practices and core skills and gives learners the opportunity to choose elective courses most relevant to their work. The Summit is being offered from January 14 to January 18, 2019 in San Diego, CA. Attendees can come for the whole week, one day, or anything in between. The Accelerated Certificate Summit offers busy corporate citizenship professionals the opportunity to earn a Certificate in Corporate Citizenship Practice in half the time at half the cost, because time away from the office and travel expenses are decreased. The Accelerated Certificate Summit also gathers participants from multiple courses together, offering great networking opportunities. Courses employ two formats: An accelerated, in-person classroom experience and online coursework that learners can choose to complete before or after the Summit. There is tremendous flexibility built into how learners can take part in the Summit. Participants can register for all five days, only one day, or some portion of the week—and can choose from core courses in strategy, communications, and measurement; elective courses; or some combination of both. Registration is now open and early adopter registration rates are available. To learn more, visit ccc.bc.edu/ccc/summit. If you have questions about your eligibility to attend the Summit, please contact ccc@bc.edu. 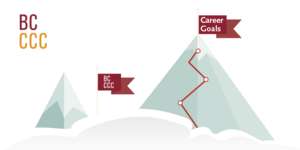 To learn more about the Accelerated Certificate Summit, as well as other offerings and events from the Boston College Center for Corporate Citizenship, visit ccc.bc.edu.